Selling your home can be a difficult or even emotional decision, and often can be quite challenging. But with the right preparation, pricing and the help of professionals, you can turn your home into marketable real estate. Decide whether you want to sell your own home (for sale by owner) or use the resources of a real estate professional. Learn more about the advantages of working with a REALTOR®. 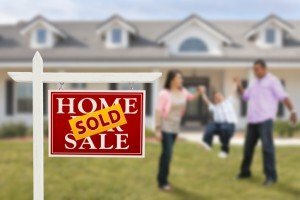 Get your home ready to sell. Spend time on preparing your home before it is listed. You will want it to outshine its competition and look as attractive as possible. Educate yourself about sales prices of homes in your neighborhood and your community. A realistic understanding of how to price your home is a critical element in a successful sale. Don’t depend on your neighbor’s stories about sales prices of homes—get the facts. Remember that you may have to offer closing cost assistance to make the sale of the home possible. Educate yourself about different types of loans and how you can help a ready, willing and able buyer purchase your home. Start with the outside – curb appeal gets buyers into your home. Scrape, prep, paint or power wash house, deck and patio. Clean out flower beds and rake up any refuse or leaves, and add new mulch and new fresh flowers. Replace outside lights. Clean and repair gutters and downspouts. Repair or replace rusted or pitted railings. Sweep (or shovel!) walkways. Clean or paint the front door. From the outside, step into the front foyer and look around. Is the entryway attractive, or is it cluttered? Wash all windows inside and out. Open draperies and curtains during the day, or turn on lights at night to promote the effect of bright cheery interiors. Remove personal items, family pictures, and all excess decorations, including extra furniture. Start packing—especially personal collections. Make the space look as large and inviting as possible. Set a neutral tone to the house—with paint and colors. ou want your home to appeal to as wide a range of buyers as possible. Be sure all carpet and floors are clean. Replace, clean, or repair as necessary. Dust your furniture and hot water heater and all other appliances. A shiny appliance shows an attention to maintenance and care. Replace the filters in your heating and cooling systems. Fix everything that is broken, including loose doorknobs, wobbly hinges, stuck windows, cracked glass or mirrors. Call the plumber if necessary. Make sure there are no leaking faucets, clogged or slow drains, or low water pressure. Re-caulk all tubs. Nothing turns a buyer off faster than mold in the bathtub caulk! Keep stairways and corridors clean and free of clutter so that they are attractive and safe. Consider the big picture—be sure the attic is presentable, the garage is neat and preferably empty, the basement is tidy, closets are clean, neat and well organized. Look at the house through the eyes of a buyer. Highlight strengths, focus on features and bring out the best in your house. Realistic pricing is a major factor in the marketability of your home and key to a quick sale. The most common mistake sellers make is setting the price too high. An overpriced house not only won’t sell, it may not even attract offers, so you won’t have the opportunity even to make a counter offer. There are several steps you can take to understand the market value of your home. Research homes that have sold in your neighborhood in the last six months. Include sales that are within one half mile of your home, and look for homes of similar size. From that list, compare homes that are of a similar age and square footage. Pay attention to any physical barriers that may divide your neighborhood. Major streets or transit lines may affect house prices on either side. Other factors that may affect the price of your home include its location. Is your neighborhood a desirable area? Is your home close to shopping, schools and recreation facilities? Pay attention to school district lines. Two similar houses in different school districts may get very different prices. If you intend to list your home with a real estate professional, interview at least three who specialize in your neighborhood. Ask each one to give you a comparative market analysis and their opinion about the appropriate price range.